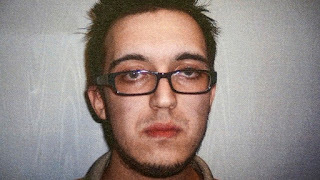 The son of a police captain who was one of the first responders at the scene of the 2013 Boston Marathon bombing pleaded guilty Monday to plotting an ISIS-style attack. Alexander Ciccolo faces 20 years in prison for plotting to use guns and homemade bombs to attack a college campus to support the Islamic State group. Sentencing has been scheduled for September. Ciccolo was arrested in July 2015 after he received four guns he ordered from a person who was cooperating with the FBI, as Fox News previously reported. Boston police Capt. Robert Ciccolo tipped off authorities after his son said he wanted to join the Islamic State group. Ciccolo, 25, initially was charged only with being a felon in possession of a firearm and stabbing a nurse in the head with a pen after he was brought to jail. But he later was indicted on attempting to provide material support to a foreign terrorist organization and attempting to use weapons of mass destruction.